In the science of oral health, we discover that the mouth and the body are wired together in one integrated piece. (It's still an open question whether the mind and the mouth are connected.) 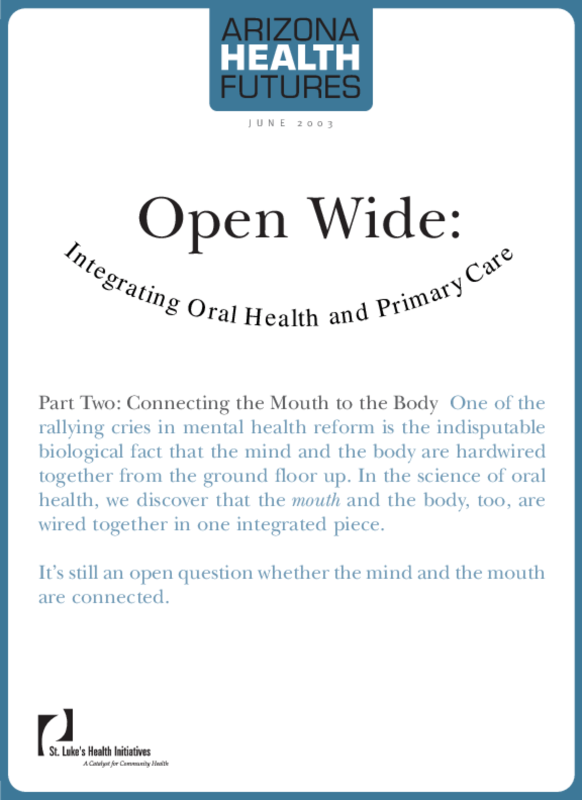 This report (part two of a three-part series) looks at the issues and barriers related to the integration of -- or at least collobaration between -- oral care and primary care providers, offering several scenarios and opportunities for further work. Copyright 2003 St. Luke's Health Initiatives. All rights reserved.